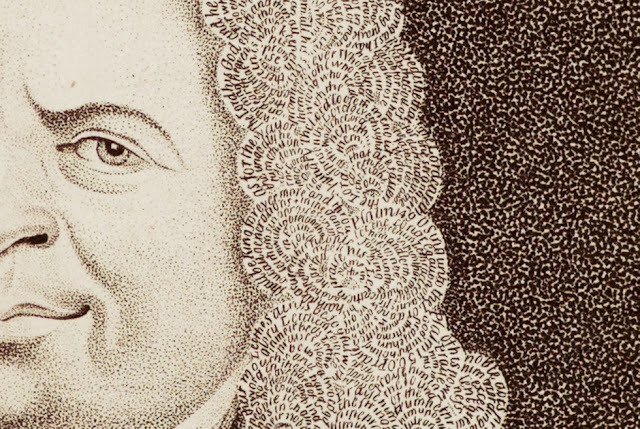 Matthias Buchinger (1674-1740) was a remarkable person. His life story reads like a short story by Voltaire and yet he was real. The Met Museum have an exhibition of his work on now and HERE is a great piece about him in the New York Review of Books. Below a close-up from a self-portrait, 1724. His curly hair is textured with microscopic renderings of Psalms and the Lord’s Prayer.